I thought it would be a nice touch if the LEDs in the Selleck Striker behaved more like the metal ringer in an old school mechanical hi-striker. 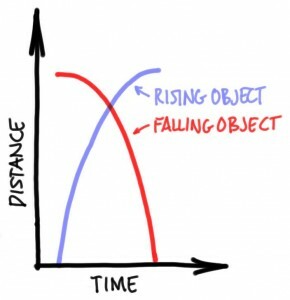 So rather than rising up the scale in a linear way, what if it looked like the LED “ringer” was being pulled down by gravity (and friction, and air resistance) like the real thing? 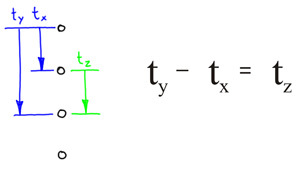 where d = distance, g = the gravitational constant, and t = time. I would calculate the trip from top to bottom as if the ringer was falling, then use that data in reverse. Note: the blinking at the beginning is the Arduino booting up, and the blinking at the end was added later to highlight the level of the hit.